One of the more frequent estate planning conversations we hear centers upon the transfer of real estate from a person to his-or-her heirs (usually children). This is the third in a series of posts reviewing some general information on doing that. As we are typically talking about “the house”, this post will refer to “your house”, but everything here applies to any real estate. In the last post we considered what happens to property that you own outright (as opposed to having a life estate, joint tenancy with survivorship, etc.) at your death. So we talked about leaving property to others through your will (called a “devise”), and we talked about what happens if you have no will. 1. Transfer to/through a Living Trust. You can establish a Revocable Living Trust, and then draft a deed transferring your house (or any other real estate and most other types of assets) to the Trust. Any property owned by the Trust when you pass away avoids probate. The Trust Agreement will then control what happens to the house (or anything else) when you pass away. The options are virtually limitless. You could have the trust distribute the house to one or more persons, or hold it in further trust and allow someone to live in the house. Or it could direct the trustee to sell the house and pay the net proceeds to one or more people/organizations. If the trust is property drafted, it will protect the house from your beneficiary’s creditors and unhappy spouses. (This sort of trust will NOT protect the house from your creditors.) Note: Unlike some other states, it is NOT enough merely to draft a trust agreement that mentions the house or a declaration of trust. In North Carolina, there MUST be an ACTUAL DEED that transfers the house into the Trust. • During your lifetime you are free to do anything you like. • You decide who gets your house, subject to certain claims of creditors, maybe your spouse, etc. • Your heirs (beneficiaries) get a step-up in tax basis when they inherit the house. • If your heirs (beneficiaries) are your spouse or children and there is a mortgage on the house when you die, they don’t have to pay off the mortgage immediately, and they do not have to assume it; but they do have to keep it current. • The house is protected from most of the creditors of your beneficiaries (if trust agreement is properly drafted). • The house is protected from the unhappy spouses of your beneficiaries (if trust agreement is properly drafted). • There is generally almost zero risk of litigation (if trust agreement is properly drafted). • Very economical and easy after your death. • It is a private arrangement, as opposed to probate, which is public. • If there are to be multiple beneficiaries and you anticipate that they may not get along, this allows the Trustee to deal with the property without the necessity of forging agreements. • Lends itself well to complex arrangements (if such are needed). • Allows for genuine long-term control of the property after you pass away. • You can transfer mortgaged property to your Trust without the approval of the mortgage company. • If you are married, North Carolina law now allows you to maintain the protections of TbyE even though you have transferred the property to your Trust. • Subject to the claims of your creditors. • The initial cost will be higher than for a will or a deed, though the long-run cost will likely be less than the use of a will. • If poorly done, it can really make a mess of things. 2. Transfer to/through an Irrevocable Trust. You could establish an Irrevocable Trust, and then draft a deed transferring your house (or any other real estate and most other types of assets) to the Trust. There are many different sorts of Irrevocable Trusts and they vary greatly. But as a general rule, one big “pro” will be added to the list of “pros” for a Living Trust. It is this: that as a general matter the property in the Trust IS protected from your creditors. (There are some important exceptions to this.) But all good things come at a price, and the price here is a big “con” that is added to the list of “cons” for a Living Trust. It is this: loss of control. That is right, once you transfer property to an irrevocable trust there is NO getting it back. And there is a second con: since the ability to modify an irrevocable trust is quite restricted, if it is not done right the first time there may well be no fixing it. 3. Transfer to/through an LLC or Corporation. Many of our clients own rental or business real estate in an LLC or a Corporation. So the name on the deed is not a person, but is the name of an LLC or Corporation. This means that the specific piece of real estate is not an asset to leave to someone, because it is owned by the LLC or Corporation. But your interest in the LLC or Corporation IS AN ASSET that you leave to your heirs. They do get a step-up in basis in the value of the LLC or Corporation upon your passing. If there is concern that the prospective heirs won’t get along, you can make the LLC subject to an Operating Agreement (or the shares in the Corporation subject to a Shareholders’ Agreement) to facilitate the smooth transition. If you have a Trust, and you have transferred ownership (or equitable ownership) to the Trust, and the Trust is properly drafted, this should not be an issue. Often, when establishing a trust, it is desirable to have the trust make payments to one person for a period of time (called a “lifetime beneficiary” or a “payment beneficiary”) and then after that to give what is left to another person (called a “remainder beneficiary”). Two common examples: make payments to my spouse for the rest of her/his life, then split what is left equally between my kids. Or, make payments to my kids for the rest of their lives and then give the balance to my grandkids. There are numerous advantages to such a plan, which are discussed elsewhere. This is about how to do it. And historically, the payment beneficiary would receive “income” from the trust or, if that was thought to not be enough, income plus a certain amount. But when payments are being made like this, there is an inherent tension between the interests of the current payment beneficiary and the remainder beneficiaries. The payment beneficiary wants aggressive investing, to yield (at least, potentially) the maximum growth and therefore the maximum income. The remainder beneficiary doesn’t get the income, so he or she doesn’t care about growth, safe investing is what counts. This generally provides less income but helps to ensure the maximum corpus being left to them (because significant investment losses are unlikely). Enter the Unitrust. The Unitrust varies the traditional model by stipulating that, rather than making the payment beneficiary’s payment based upon trust income, the payment beneficiary receives a payment each year that is a set percentage of the trust balance (technically the Net Asset Value (NAV)) on a given day of the year (usually January 1st) Of course, though the payment is calculated on an annual basis, it could be (and usually is) set up to be paid quarterly or monthly. So, for example: The trust specifies payment to the surviving spouse of 5% of the NAV annually, remainder to the children. The trust has $500,000.00 on January 1st of a given year. The surviving spouse would get a payment of $25,000.00 ($2,083.00 per month) that year, and the trust might well actually grow over the course of the year (if income less expenses is greater than 5%). This means that the spouse would get a greater payment next year. Meanwhile, the trust balance cannot be lost to nursing home care, creditors, changes in estate planning, or anything else, and may actually grow depending upon the payment level chosen by the person forming the Trust and investment choices made by the Trustee. Now the payment beneficiary and the remainder beneficiary are both benefited, at least to some degree, by trust growth and harmed by trust loss. Both have an incentive to monitor trust investments and the activity of the financial planning of the Trust. There is still a tension between the payment beneficiary and the remainder beneficiary. But the tension is now reduced to the percentage that the payment beneficiary is to receive, and this is set by the person forming the Trust. 1. 6% of the NAV will usually, over the course of time, cause costs and payments to the payment beneficiary to match the income generated from a balanced portfolio. (Balanced portfolios are desirable methods of insuring that the trustee is properly discharging its fiduciary duty to both the income and remainder beneficiaries.) Of course, this depends a little on costs (tax prep, paying investment advisors, etc.) and depends upon market conditions (hence, ‘over the course of time’). 2. The trustee is freed from the artificial restraints of having to invest for income or growth and can follow both the “Prudent Investor Rule” and “Modern Portfolio Theory” which means that a diversified portfolio is created based on a predetermined appropriate risk tolerance, which minimizes the risk of losing value to inflation or to market declines, and lessens exposure on the part of the Trustee. 3. Both the lifetime and remainder beneficiaries are hoping for the same result, an increased portfolio value, because the larger the growth, the greater the 6% payout becomes and the greater the remainder becomes. 4. This is a really important concept in those cases where a lifetime beneficiary can be expected to live (and take payments) for several years because over that length of time an interest oriented portfolio would, in times of modest inflation, see the value of the income decline dramatically. But the Unitrust naturally keeps up with inflation with increasing annual payouts while the principal also grows. Of course, it may be desirable to direct more of the trust balance to the payment beneficiary (at the expense of the remainder beneficiaries) or to preserve more for the remainder beneficiaries (at the expense of the payment beneficiary). An additional consideration is whether or not the Trustee has discretion to make additional payments to the payment beneficiary if the payments are not adequate at some point (often done if the payment beneficiary is a surviving spouse or disabled). So, yet again, the key to estate planning is the planning, but the Unitrust is a very useful (and greatly under-utilized) tool and this a good starting point for the discussion. First some background: All trusts begin with three plates at the table. There is a Trustor (or Grantor), who is the person forming the trust by transferring property to a Trustee (and hopefully signing a well-drafted Trust Agreement). So there is also a Trustee, who is in charge of managing the property and carrying out the Trustor’s directions as set forth in the Trust Agreement. 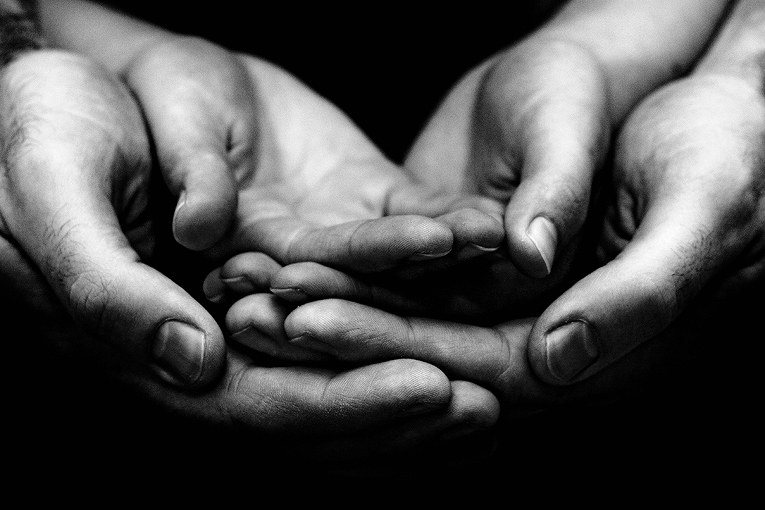 And there is a beneficiary, who is the person who receives some benefit from the trust. Of course, there could be more than one Trustor, more than one Trustee, and frequently there will be more than one beneficiary. Additionally, bear in mind that all trusts are either revocable (meaning that the Trustor can still change the Trust Agreement) or irrevocable (meaning that the Trust Agreement can’t be changed). Revocable Trusts frequently become irrevocable at some point (e.g., when the Trustor dies). Many end quite soon thereafter (when I die take all that I have and divide it equally between my children and give it to them as soon as you can…). But others continue to hold property in trust for quite a while, sometimes for a generation or two (take all that I have and make payments to my kids each year, or hold this property for them to use, etc.). A lot can happen during that time. And many trusts are irrevocable from their very beginning. With that in mind, it is becoming increasingly common to set another plate at the table, for someone called a Trust Protector. Or maybe it is more appropriate to think of the Trust Protector as being in the next room eating popcorn and watching TV? The Trust Protector exists to protect the purposes of the Trustor. But unlike the Trustee, who is involved in the day-to-day operations of the Trust and is obligated to act as a fiduciary, the Trust Protector doesn’t ‘do’ anything until someone asks. When someone (usually a beneficiary) gets up from the table and goes into the next room to get the Trust Protector, the Trust Protector may spring into action. And what can he do should he so choose? The Trust Protector has very limited and specific powers, and these are usually laid out in the Trust Agreement. The most common things that a Trust Protector can do is to remove a trustee and appoint a successor trustee, or to amend the trust to comply with current tax law or otherwise to save on taxes. Sometimes a Trust Protector may be given the power to change a beneficiary’s interest. Generally the Protector’s exercise of these powers will be in response to the request of a Trustee or Beneficiary, not an action that the Protector takes on her or his own initiative. The Trust Protector does not independently monitor things, he is not ‘paying attention’ until someone asks for his help. Hence, we might describe the Protector as not being at the table, but in the next room watching TV. Trust Protectors do not get paid (except for the popcorn they eat). But even though the Trust Protector’s assistance must be sought by someone, his power(s) can be useful if the Trust is going to be ‘in business’ as an irrevocable trust (which, remember, by definition can’t be amended—at least not in theory) for a long time. And it is useful because it is one way to give the person forming the Trust some guard against unanticipated changes in the future without either necessitating court involvement or the agreement of the beneficiaries. But it can also cause problems, and needs to be well thought-out. Yet another reason why estate plans are not one-size-fits-all packages that can easily be obtained off-the-rack. The key aspect of estate planning is the planning, and it is not a bad idea to revisit your estate plan from time-to-time, and especially in light of major life changes, to make sure it is still the best plan for you. Naming a trust as the designated beneficiary of a your IRA has several very important advantages over directly naming the beneficiaries. First, your chosen beneficiary may be a minor, not prudent with money, have marital or creditor issues, or may be disabled. Second, if the beneficiary dies before distribution, the contingent beneficiaries may not be correct. Third, the beneficiary may intentionally or unintentionally withdraw the IRA thereby incurring an unnecessary tax bill. So we frequently have our clients name a revocable living trust as contingent beneficiary of an IRA. There are many times this is appropriate and will serve the client’s needs well. However, naming the your revocable living trust as the beneficiary of your IRA, even with the appropriate “conduit-trust” language, may create issues with the operative age for the “stretch-out” of the required minimum distributions (RMDs). You see, the conduit language functions like naming the beneficiaries directly, except that it 1) adds the trust protection, 2) provides your contingency directions, and 3) makes it easy to maintain and amend your estate plan in the future. All of that is great, and probably worth the cost of the trust even if the trust provided no other benefits. But despite the clear advantages, doing it this way shares two major drawbacks of naming beneficiaries directly: 1) the ‘stretch-provisions’ for all beneficiaries is based on the age of the oldest beneficiary, and 2) once the beneficiary has it, they can do what they want (including cash it out to pay for plasma TVs and granite countertops). 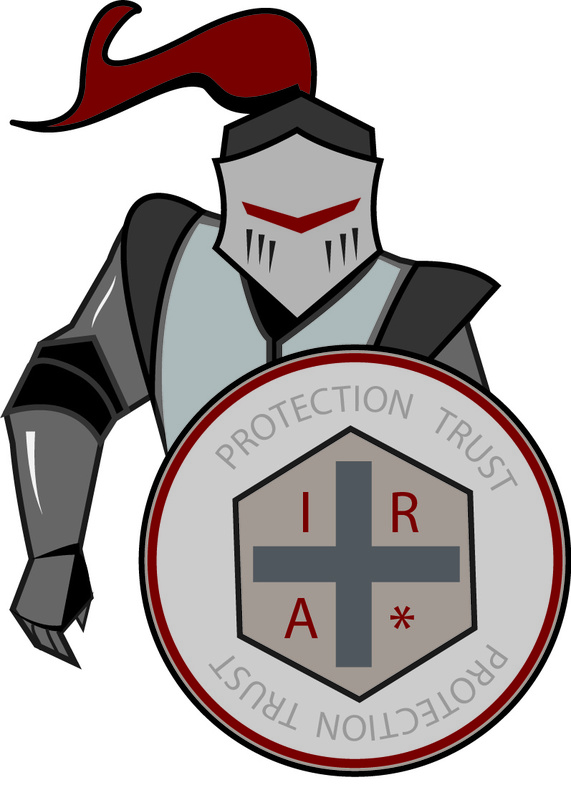 Enter the IRA Beneficiary Trust® (aka, IRA Protection Trust and a few other names). This can be used to insure that your beneficiaries (those who will receive the IRA’s after your death) “stretch-out” their taxable, required minimum IRA distributions over a much longer period of time. And while we call it an “IRA Trust”, it works with virtually any tax-deferred accounts, not just IRAs. With this trust, the age of each beneficiary becomes the operative age for that beneficiary’s required minimum distribution. If there is a significant age difference between the beneficiaries, this can be huge. And if you want, you can make them wait to withdraw the money until they reach that age (or any other age). Now, this benefit is obtained only if the beneficiary retains the inherited funds inside the IRA account. As we said, IF you choose to do so with the IRA beneficiary trust you can ‘force’ them to do this (because you can restrict distributions in the trust document). You can also, if you choose, provide life-long protection for the money from creditors, unhappy spouses, or required “spend-downs” for government benefits. Remember that absent a trust, inherited retirement accounts enjoy very little creditor-protection. The relationship between IRA Agreements, IRA Accounts, and Trusts is complex and remains somewhat unsettled. And estate planning is itself complex because there are so many factors to consider. Some of the issues will be explored in future posts on this blog. Sorrell Law Firm is pleased to be able to offer our clients the IRA Beneficiary Trust® as yet another item in our arsenal in estate planning tools to provide you with the opportunity and ability to control your assets and maximize the benefit for yourself and your chosen heirs. Schedule an Estate Planning Session with us today. We will take the time to work with you to tailor an estate plan to your situation and your goals. And as your life changes (and it will) and as the politicians change the law (and they will); we will continue to be available to you to ensure that your estate plan meets your needs and accomplishes your goals. For every trust there is a trustee (at least one). The trustee is the one who manages the assets. Whether the trust is small or large, we have learned at least one thing after hundreds of years of using trusts: Some trustees cannot be trusted. Sometimes this is clear from the beginning, other times it is not clear until some time has passed. So what is one to do? Act One: The Grantor forms the box (trust), puts stuff in, names beneficiaries and one or more trustees. Act Four: Enter the Trust Protector, Stage Left. Wearing a black cape and fancy sunglasses, the origin of the concept is debatable and this isn’t a legal history blog. But whatever their source, Trust Protectors became common in the 1980s with the advent of offshore-trusts for U.S. assets (i.e., trusts located on an island somewhere—hence the sunglasses—and used for tax-avoidance and asset protection purposes). Rich people may want to avoid taxes, but usually not at the expense of risking assets disappearing into the island fog. So Trust Protectors became common as a means of removing a Trustee who was found ready to be inexplicably packing his or her bags. In general, as things become common the law around them develops (here Delaware and Alaska led the way), and such has been the case with trust protectors. What does this mean for you: Well, you may not have an offshore trust. But that doesn’t mean that you shouldn’t consider appointing a Trust Protector. The duties of a trust protector can vary. You outline them in your trust agreement where you name the Trust Protector(s). But in general the trust protector has the power to remove a trustee for misconduct. You may give the trust protector the power to appoint a successor trustee, or you may simply have your trust agreement say that if the trust protector removes a trustee that the successor (whom you named) then takes over. Either way, you have provided a way to remove a trustee who is misbehaving without litigation, arbitration, or any other protracted and costly means. Again, you could give the Trust Protector other duties and powers if you wanted to (like having to sign-off on the sale of a business), but this is the key and most important power. In short, it allows the ‘Trust Protector’ to ‘Protect the Trust’ if something goes wrong. How does this work: Well, take the most common estate planning trust, the revocable living trust. In most instances, you will be the first trustee. Of course you won’t steal from yourself. So no problem. But you will eventually die (sorry to break the news…). So you have a successor Trustee who then takes over. And though you could name anyone, most people simply make one of the children (an heir/beneficiary) as the Trustee. The problem here is that you can’t predict the future. Maybe by the time you die the new Trustee has developed a drug problem, or maybe the Trustee harbored a grudge against one of the other heirs/beneficiaries and now wants them to get nothing (even though you wanted them to get their share). Without a Protector, the situation is bad. But with a Protector, the new Trustee can be fired. So who should the Protector be? Like the Trustee, it should be somebody that you place your trust it. But, with some exceptions, the trust document should also limit the Protector’s powers so that the sole, only and exclusive thing that they can do is to fire the existing Trustee (or maybe also appoint a successor Protector). If you have enough faith in the person who will be the Protector, you might also give them the power to appoint the new Trustee. But for a family trust this should normally be avoided lest the Protector appoint somebody under the Protector’s thumb and the two of them together loot the trust. Where the trust is irrevocable and is meant to additionally serve asset protection purposes, the Protector should also usually not be “related or subordinate” to the person who created the trust (known as the “Grantor”) or of any of the beneficiaries. There are both tax and asset protection reasons for this restriction, and it is for another day. There is a lot more to the Trust Protector conversation depending upon the type of trust, the assets in the trust, the relationship of the Trustees to the beneficiaries, and other considerations. This is another in the list of reasons why establishing a trust for your loved ones is not the job for your jack-of-all-trades attorney, someone (who is not even an attorney) selling products from some document mill in another state, and certainly not a DIY project over some website. Your family deserves better. It is complicated, but the key is PLANNING. Call or e-mail us today, we would welcome the opportunity to meet with you and help you begin planning for your family’s future.